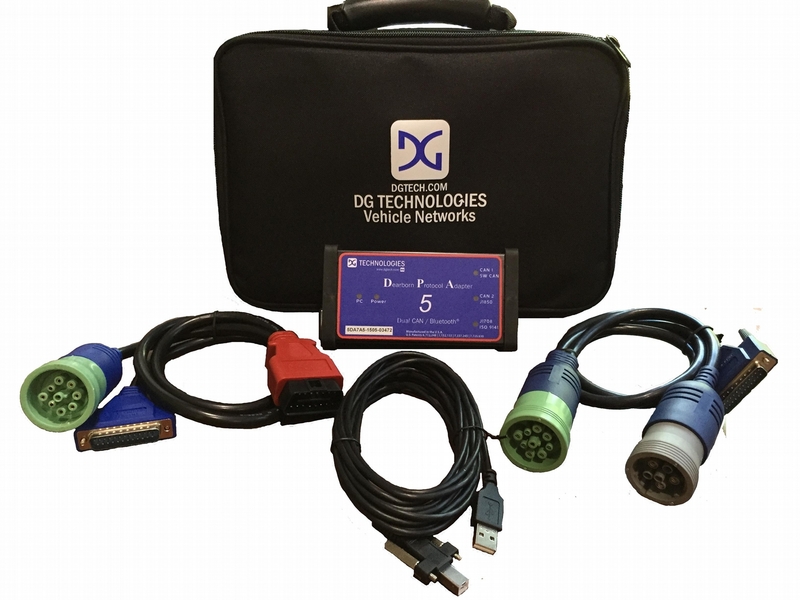 The DPA 5 continues DG Technologies DPA family tradition of being the fastest, most rugged, most reliable, and most versatile RP1210 Vehicle Datalink Adapters (VDAs), and its Bluetooth wireless! The DPA 5 is a One-Tool-Solution, supporting all of your favorite OEM and component diagnostic applications. So why purchase multiple adapters, when the DPA 5 is all you need? The DPA 5 has Dual CAN communication channels. This allows the DPA 5 to communicate with vehicles having two separate CAN data buses, such as the Freightliner Cascadia. The DPA is manufactured in an ISO 9001 certified facility. Our technical support team has years of industry experience to help you get the most from your investment. Should a tool need to be returned to the factory, the RMA repair process is simple, and turnaround is generally same-day.